I’m back for another season of skiing memories, history, nostalgia and trivia. 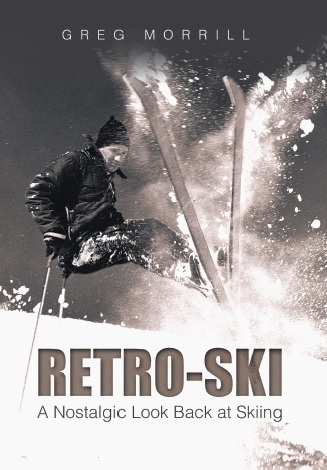 One thing’s for certain, there may not be a lot of “nostalgia” associated with last year’s ski season! Other than about a 10 day span around the first of March, it was a rather disappointing season. If it’s any consolation, we weren’t alone since most of the ski areas in the continental United States had lackluster seasons. The National Ski Area Association (NSAA) reports that the 2011-12 season had the second-lowest national snowfall average in 21 years of collecting data. 50% of U.S. ski areas opened late for the season and 48% closed early. Nation-wide skier and snowboarder visits dropped 15% from the previous season to 51 million. Last year’s disappointment must have generated a pent-up demand for the upcoming season. Summer wasn’t even over when people began asking me if I was looking forward to the ski season. I was enjoying our remarkable summer so I wasn’t in the mood for winter. But as more people asked me, I began to look forward to the season! It wasn’t always so hard to get me to “think skiing” even in the summer. I moved to Vermont in June 1968 right after college graduation. Skiing played a large part in my decision to work and live in Vermont, but I had never skied the Northern Vermont areas. My anticipation of the ski season began immediately. I started my new job and it didn’t take my fellow workers long to realize I could bend any conversation around to skiing. Well, all that anticipation paid off. The winter of 1968-69 started early and just kept getting better. 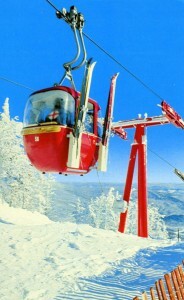 The first major snowstorm was on November 7-8 allowing ski areas to open early. This was before any Northern Vermont ski area had significant snowmaking so it was all Mother Nature! Even though I was working, I had 6 days of skiing before Thanksgiving! My fellow workers were really in trouble then. Mount Mansfield received 60 inches of snow in November 1968 and followed it with 72 inches in December. I knew I had moved to heaven – well, skiing heaven anyway. And while there were a few thaws during the winter, the depth at the stake atop Mount Mansfield just kept growing peaking at 148 inches on March 29th. That mark hasn’t been matched since. As good as the winter of 1968-69 was here in Vermont, it was even better in New Hampshire – the state I moved from to be in Vermont! A big storm from February 24-28 set records around New England, but really nailed New Hampshire. Mount Washington received a record 97.8 inches during that storm! Wildcat ski area located right across Pinkham Notch from Mount Washington received a comparable amount of snow which led to some challenges. They had to dig out the loading area of the old Catapult chair which fed the upper mountain. Standing in line for the lift, your skis were level with the heads of people getting on the lift! Skiing under the old gondola meant ducking cars occasionally, something no one could remember happening before. 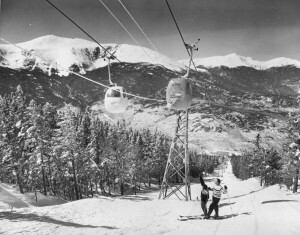 By the end of the 1968-69 season Mount Washington set its all-time snowfall record with 566 inches. Of course all that snow blew right into Tuckerman Ravine where skiing continued well into July! What are your memories of the winter of 1968-69? Please share them by posting a comment here! I remember this winter well! I was working on the ski patrol at Attatash. We got snow in in October. I was doing survey work over at Loon Mountain. It came to a halt for me as they closed the Kank. Attatash was in the middle of installing a chair to the top. I went to work on that. By mid November the snow was waist deep and difficult to work in. Carson Helicopter was setting the towers and had to drop one as it came close to losing lift. It came close to getting us. At night I drove Tuckers rolling the trails. Between the patrol in the day and the constant snow storms I thought I would never sleep a full night again. There were hugh brush piles still on Tightrope that were never scene all winter! We closed 3rd week of April. Not from lack of snow but people. I was 21. I was a senior at Bedford High. Our ski club made a few memorable trips up north. After that memorable February storm in ’69, the north side of the upper trails at Waterville were so drifted along the trail edge that it was like skiing a half pipe, before half pipes became a thing. That storm closed the southbound Sunday ski traffic on Rte 3. Cars became stuck on the ramps to 128 (now 95) stranding cars and busses, primarily home bound ski traffic, all the way back to rte 62. Locals helped shuttle the stranded to the HoJo’s on Middlesex Turnpike. And HoJos ran out of food. There was talk of a glacier formation in Tuckermans, there was so much snow, but a very warm summer nixed that. We had family passes at Wildcat that year, it was truly the best ski year of my life.